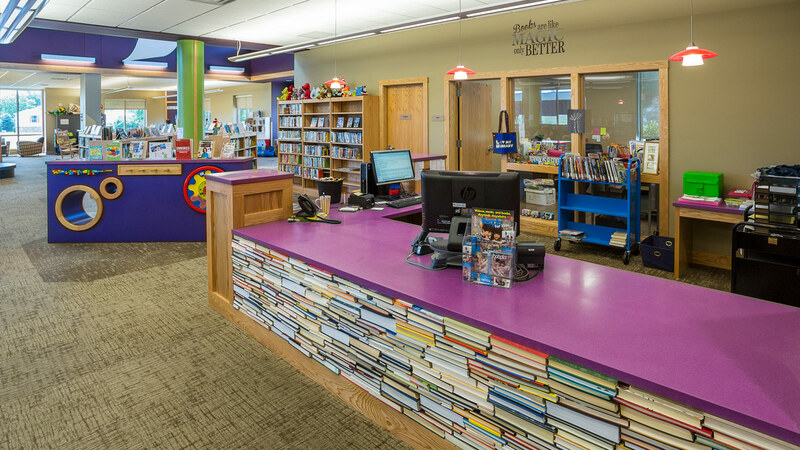 This new library provides improved access and visibility for patrons and staff. 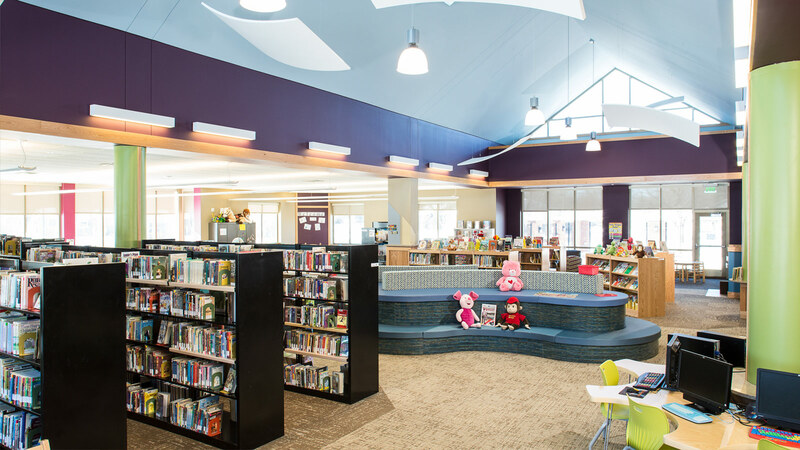 It was built in two phases several years apart, and construction of the Children’s Library completed the overall vision. 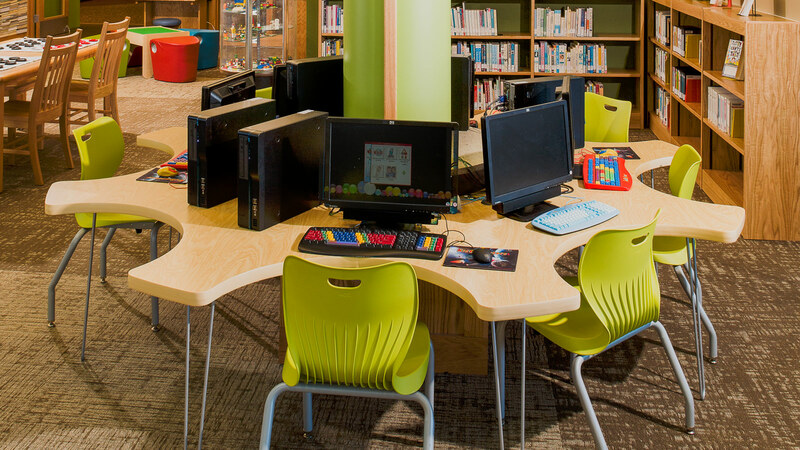 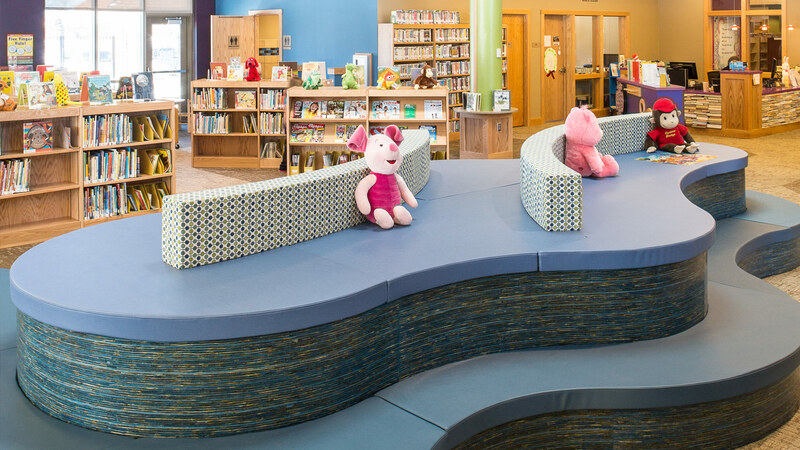 To give the facility a “wow” factor not found in many small-city libraries, the interior design focused on providing a distinctive space for each age group. 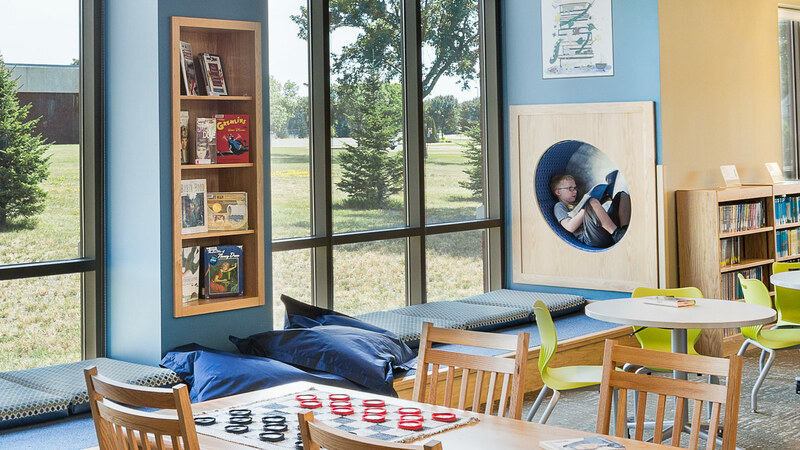 The adult reading room centers around a fireplace. 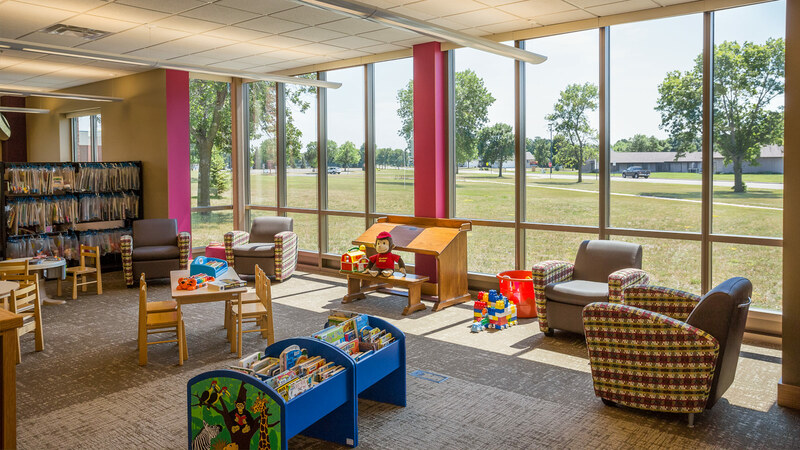 The teen area is saturated with warm color and promotes social interaction. 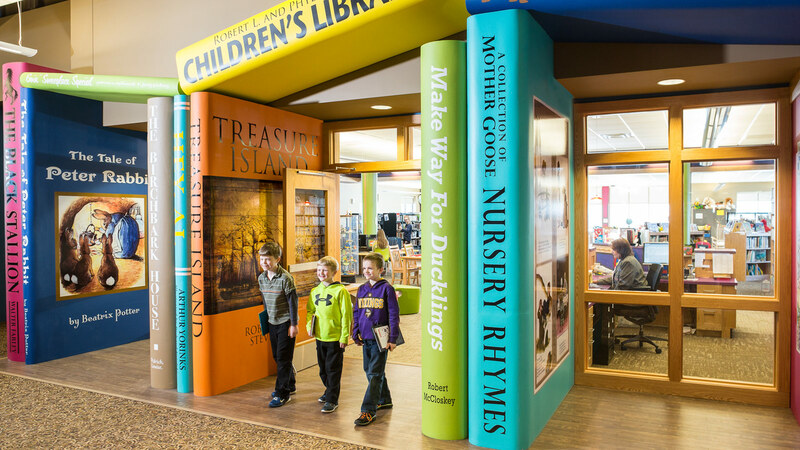 The bright and playful Children’s Library welcomes youngsters with an entrance surrounded by more than a dozen larger-than-life “books,” and the interior resembles the Minnesota outdoors.